I have to start with a confession. 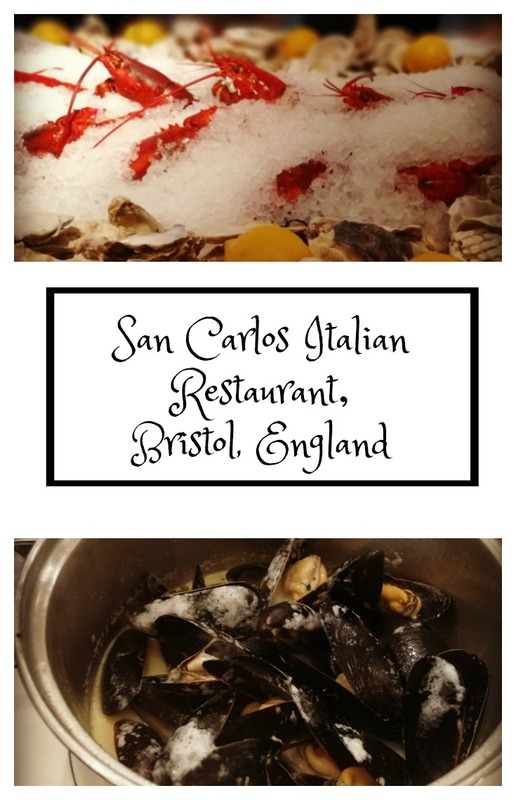 I’ve been coming to San Carlo Restaurant in Bristol for years, I even came here on my hen night! It’s one of my favourite authentic Italian restaurants and I’ve been visiting with friends, with babies, with kids, eve-of-marriage and everything in between. 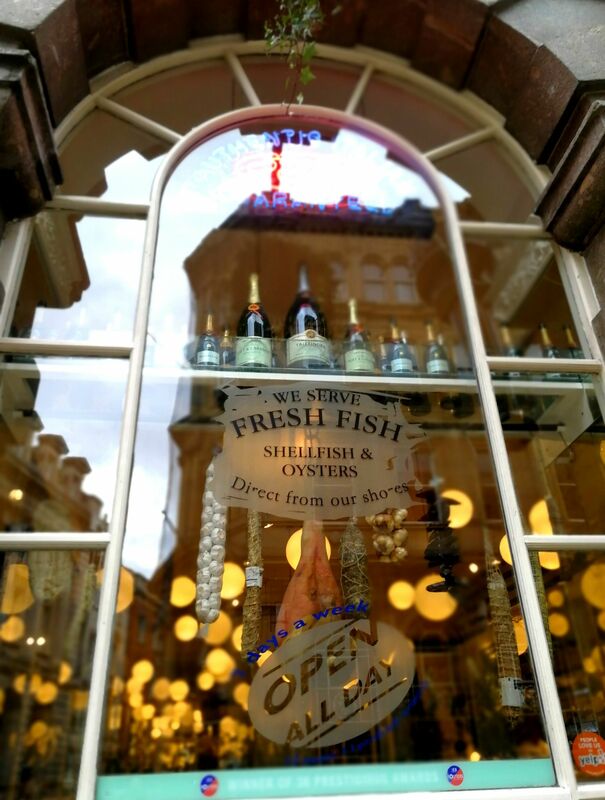 San Carlo’s Bristol menu has changed over the years but always includes fresh seafood. From the sea I like the scampi risotto and from terra firma there are grilled meats, Italian specialities and, in my humble opinion, the best lasagne in town. 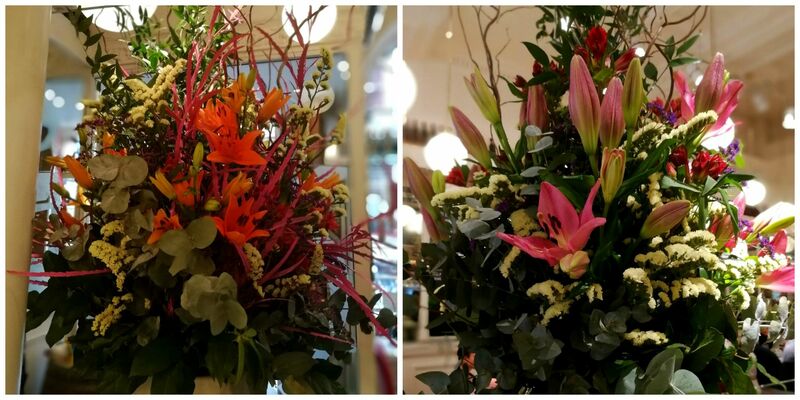 I am a big fan of floral art and San Carlo had some fabulous flower arrangements the day we visited. Decisions, decisions …. I’m afraid to say that I chose an old favourite. It’s the dish I had on my hen night and on many other visits before and since, Pollo Valdostana. Breadcrumbed flattened chicken topped with prosciuttio, cheese and tomato. I made the mistake of giving my girls some to try and they had half of it away before I could blink. Although it’s not on the menu, they’ve always been able to prepare this for me on request and it’s well worth asking for. The dish hails from the Valle d’Aosta region in Italy so I can only presume that, if I ever went there, I’d be mighty happy with the cooking. 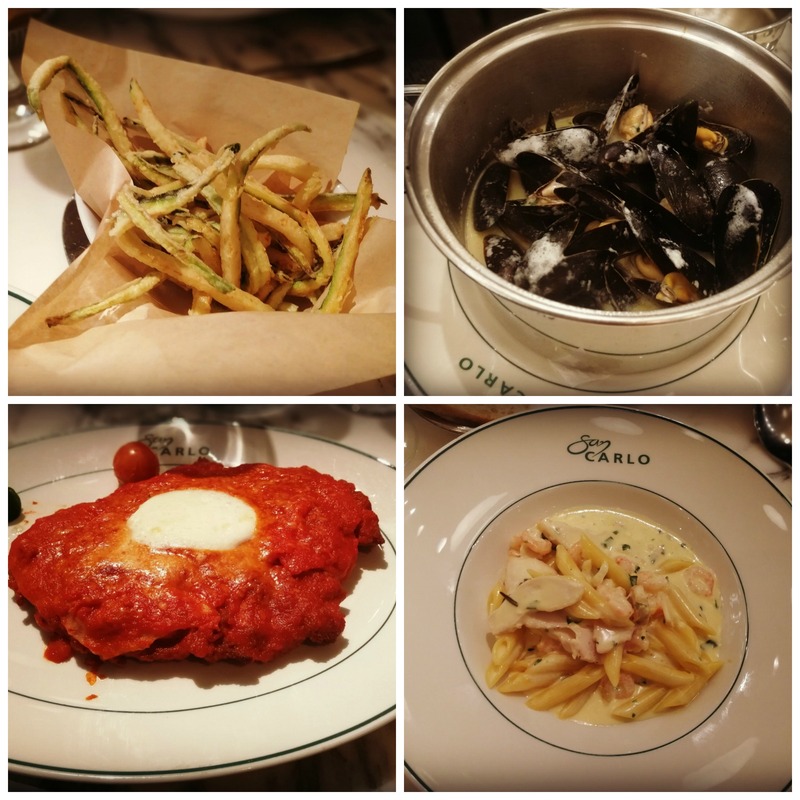 Pasta with chicken and prawns, moules mariniere and sea bass fillets were the other choices. The seafood monster, my daughter, made the most of the moules and the sauce. She had a starter portion rather than an adult portion. Pasta with prawns and chicken for my other daughter – we requested a half portion from the pasta menu. There isn’t a children’s menu as such but they can make small portions of certain pastas and they also do pizza. Zuchinni fritti – so tasty – this was our second batch of this tasty courgette dish in a week. Could become a habit. No room for desserts for the adults but it was a green light for the Chocolate Bomba for my daughter. She loves desserts where they bring a jug of warm chocolate sauce and pour it over a chocolate dome, melting it in the process. She said that this was a good one! -Lasagne Emiliane – surely the best in town! -Risotto Agli Scampi – did someone say scampi and langoustine in a risotto? Yes please. -Chocolate Bomba – my daughter’s recommendation! 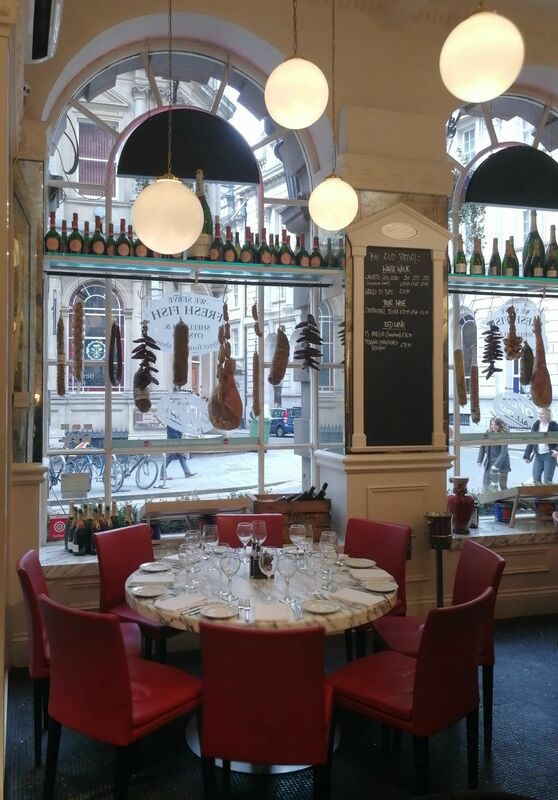 San Carlo have several branches, including Signor Sassi in Kensington, London which is in a great location for visiting the Kensington Museums and the Royal Albert Hall. 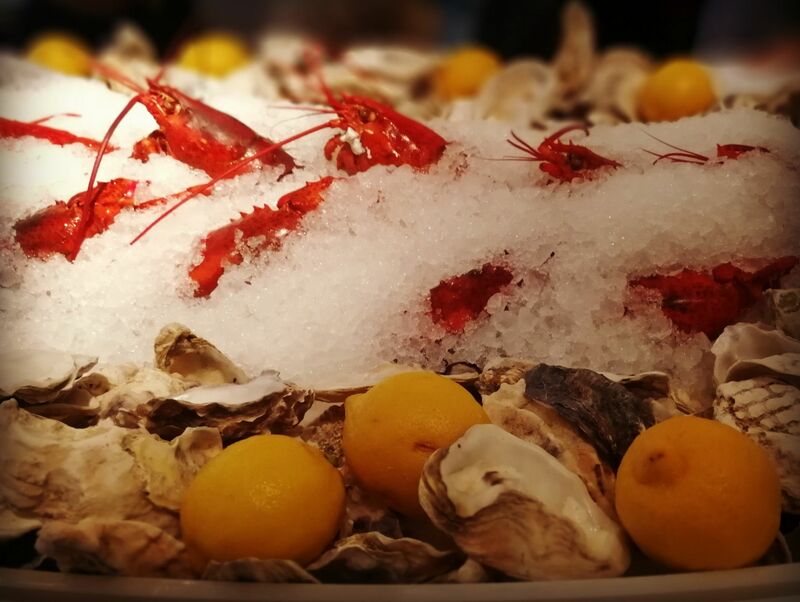 We had a really love evening there last year with fresh seafood being the order of the day. Whichever branch you visit -Buon Appetito! This post is in no way endorsed or sponsored by any of the organisations mentioned. This place sounds fantastic! I love the fact that you can ask them to make something that isn’t on the menu. The dried meats hanging in the window look pretty cool, too. I always seem to go back to the same restaurants again and again!